It happens all the time. We read a book, imagining the characters a certain way—the color of their hair, their height and mannerisms, the register of their voice—and then the book is made into a movie and none of the actors align with our vision. “I found the book more interesting than the film,” we say. 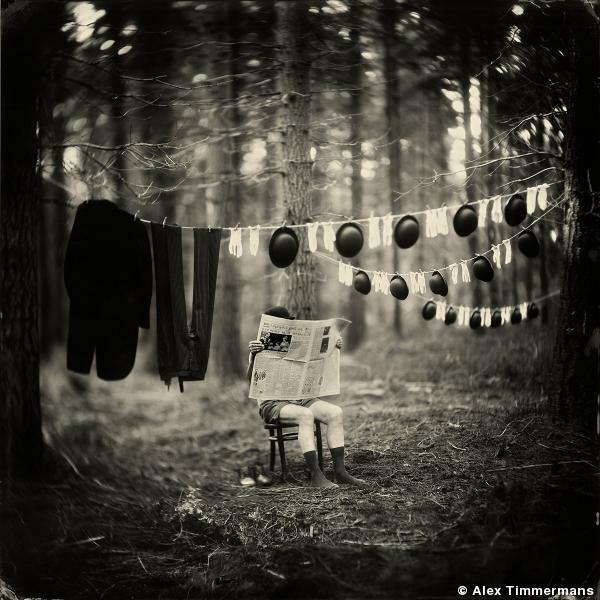 It’s the same with photographs, explains Alex Timmermans. 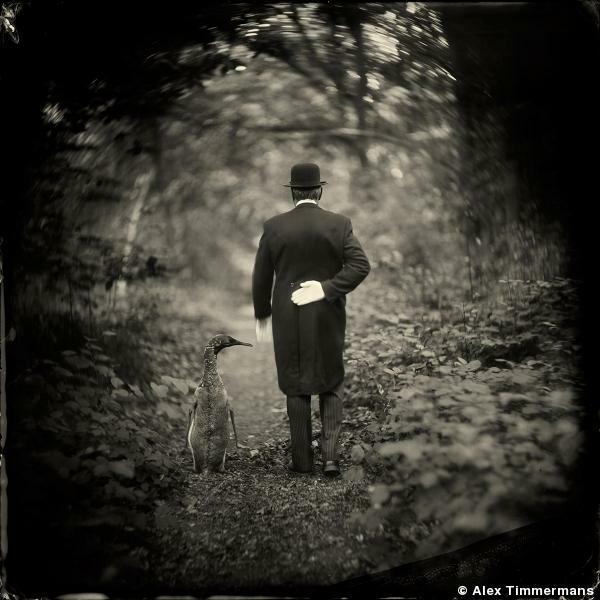 Timmermans abandoned digital photography in 2009 for the slower and more challenging wet plate collodion process that was developed in the mid-1800s. 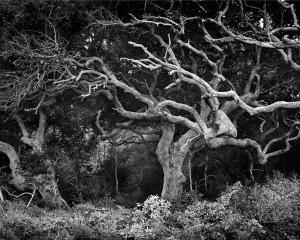 One of the many things he appreciates about the medium is that images are black-and-white, allowing people to use their imagination to provide color. And though his photos seem to imply a greater story, it’s up to the viewer to decide the narrative. 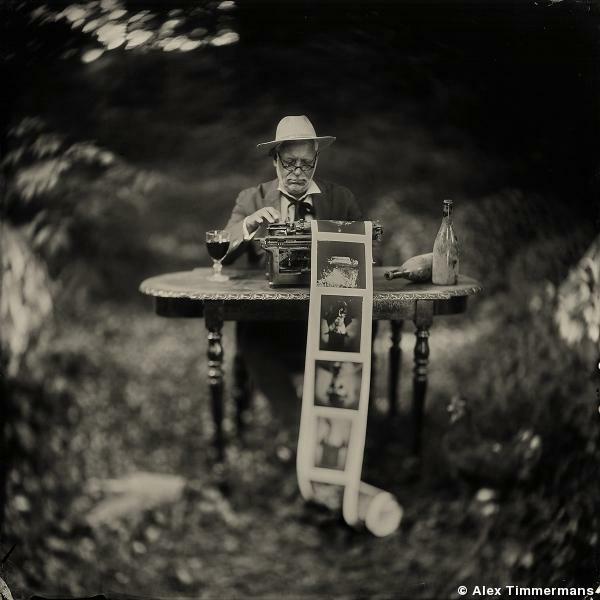 Timmermans became interested in wet plate collodion photography when he visited a Sally Mann exhibition in his home country of the Netherlands in 2009. “At that point I was having some problems with my digital photography because it didn’t challenge me anymore,” he says. 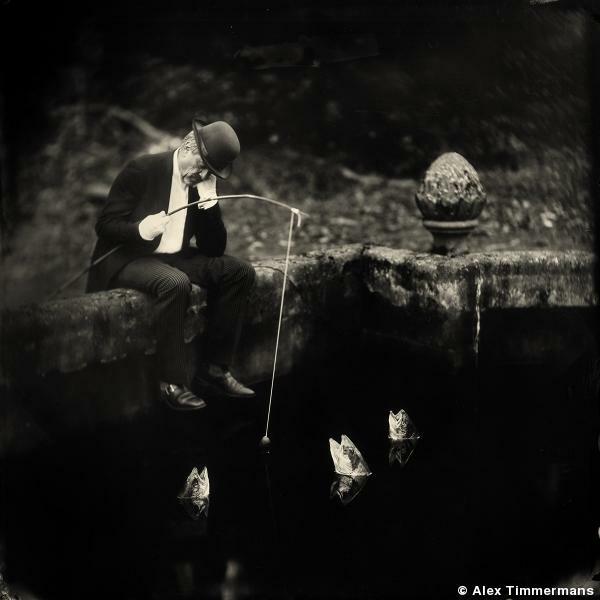 After seeing Mann’s work he started experimenting with the wet plate collodion process and ultimately abandoned digital photography. And he doesn’t miss it, either. “It’s just nice to work with a very basic camera, to use chemicals and to be able to produce stunning pictures that are very detailed and have mood in them, which you can’t reach with digital,” he says. 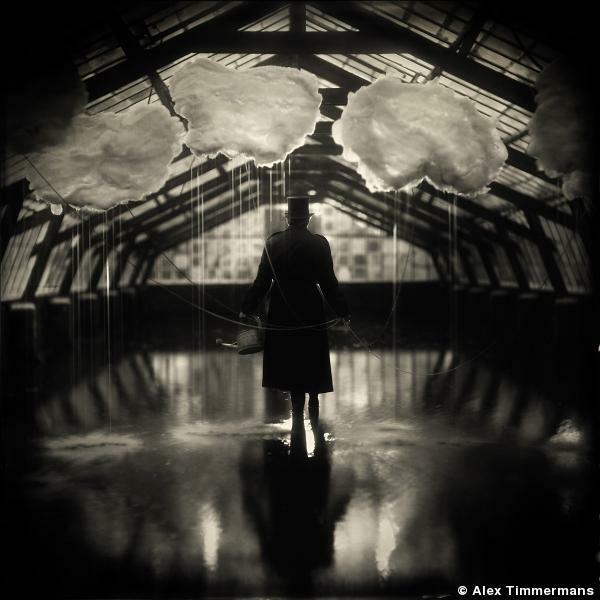 During a one-day session, Timmermans may make just four to five photographs. His process begins long before the session, with a concept—inspired by books, images, scenery, surfing the internet—that he then matches up with the appropriate props, wardrobe, model, and location. Because the plate must remain wet during imaging-making, hot, sunny days aren’t ideal since plates dry out too quickly. On a cold day, he can make exposures of up to 30 minutes long, but on a warmer day, a few minutes may be the max. So sessions are scheduled in anticipation of cloudy days with the hope of accurate forecasts and a goal of exposures timed for four to five seconds. This is a short enough duration to allow models to hold their gaze and prevent the wind from toppling props. 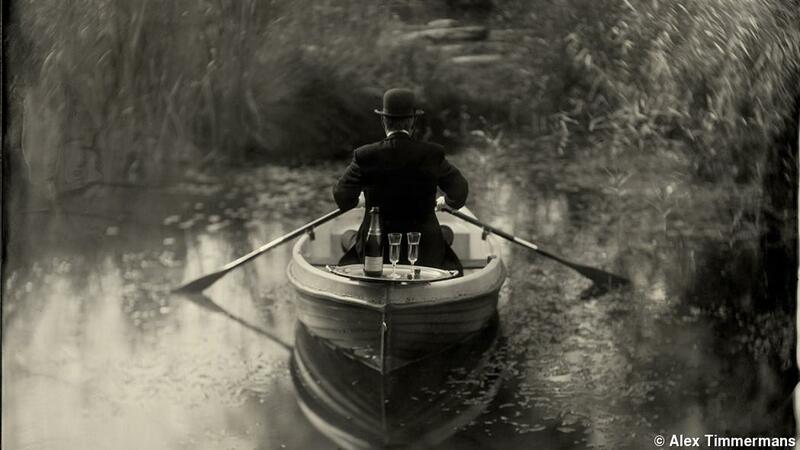 The image-making process works like this: Collodion is poured on the photographic plate, which is immersed in a bath of silver nitrate before being inserted into the camera. 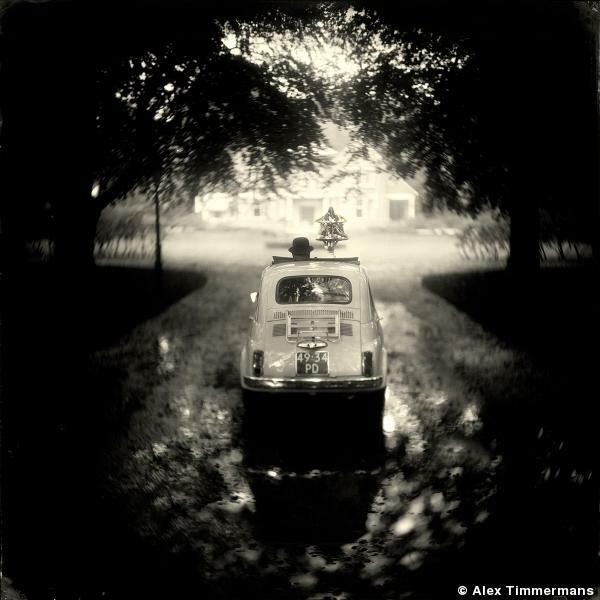 To make an exposure, Timmermans simply removes the camera’s lens cap, counts off the seconds, then replaces the cap. The process then moves into the darkroom. 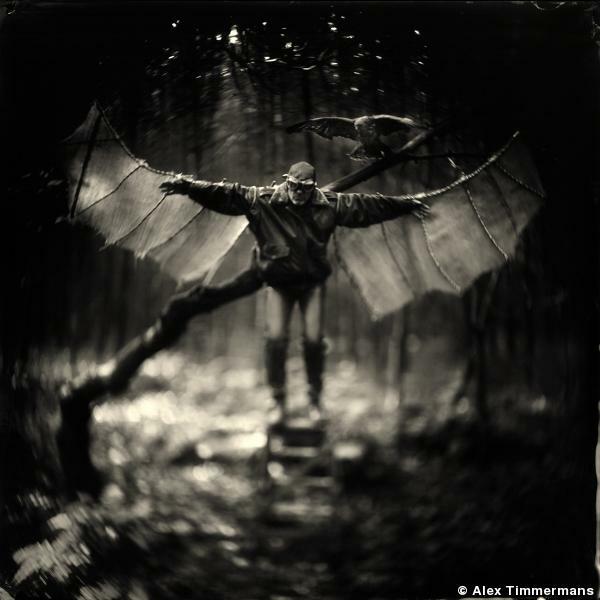 Since Timmermans’ photographs are captured outdoors, often in wooded, remote locations, he brings a darkroom with him, using an adapted ice fishing tent for this purpose. “It only takes just two minutes to set up, it’s a foldable tent, and the great thing is that it’s blanketed on the inside so that no light can come in,” he explains. Silver nitrate is sensitive to warm temperatures, resulting in cloudy images, so the tent is placed in a shaded area within 10 to 20 meters of the camera. 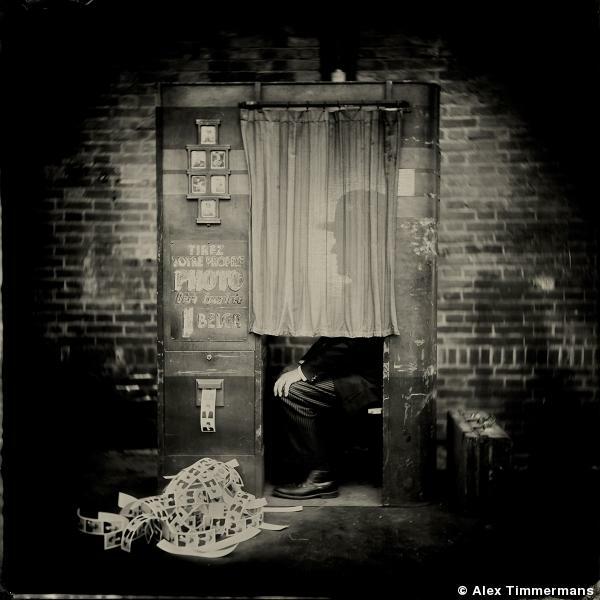 Inside the darkroom, he carefully pours developer onto the plate and watches the image appear. 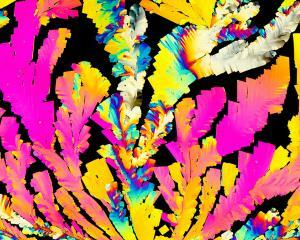 During the fixing stage, the image turns from a negative into a positive. If the result isn’t perfect, then it’s back to the camera to repeat the process until it is. “Most of the time, [the images] look identical, but it’s just the details,” he says—a slight change in the positioning of the model’s hand, for example. 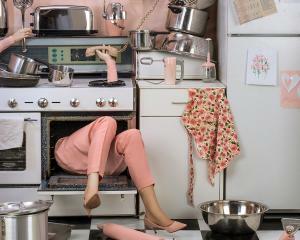 This old-fashioned process isn’t easy. “Before I was able to make a decent plate, it took me half a year,” he admits, and he’s still learning. Sessions can be trying—sometimes the weather forecast predicts clouds, but the sun breaks through, ending the session. Since wet plate images require longer exposures, wind becomes a problem. Gusts have been known to blow over stuffed animals and ruffle paper props in the middle of long exposures. 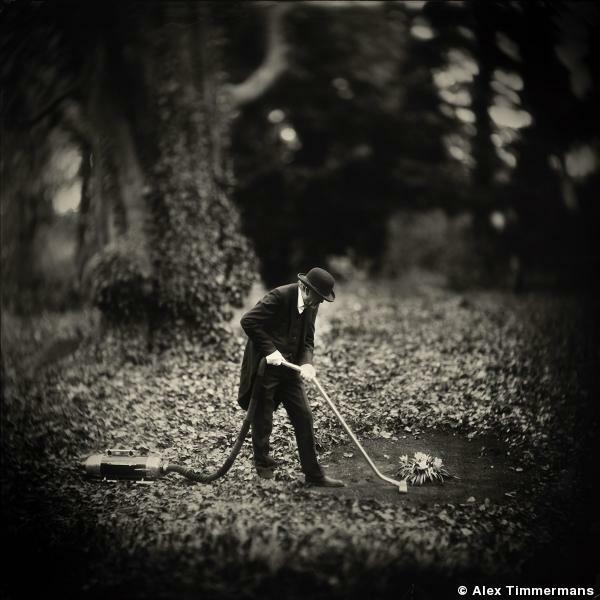 Timmermans uses several Petzval lenses, made between 1845 and 1900, for his images. In the lens’ original use, only the very center of the glass produced a sharp picture, so the rest of the image was cut away for the final product. But Timmermans keeps the whole image; the defects in the outer diameter often make for a bleary, whirling effect around the edge of the photo that lends the image depth and intrigue. One of the biggest and most exciting challenges Timmermans faces is making an image that aligns with the one fixed in his imagination. “Sometimes it takes so long to make a picture that’s in my mind,” he says, because he can’t find the right prop or the adequate location. “For instance, I really would love to make a picture with a person in it and a stuffed pelican, but I have been looking for it for a few years and I can’t find a stuffed pelican.” He also dreams of taking his process on the road to a mountainous locale in Scotland or Norway—someplace different from the flatlands of the Netherlands—but would need to work out the logistical details, as his chemicals could not be transported via commercial flight.